Five silver Braids and a penny changed hands and the curtain was pulled aside to reveal a well made archway in which stood a heavy door. In the centre of the door was an iron ring. The shopkeeper knocked the ring twice against the door and it was opened from the inside. Beyond was a circular room with sand on the floor. It smelled on incense. One by one the fugitives hurried inside, each nodding to her as they passed. The old herdsman turned and looked at her. Quickly she closed the door and covered it with the curtain. Outside in the street she could see the armoured thugs sent by the Parliament of Prime. They knocked, then immediately entered, finding the shopkeeper gathering empty bottles. “Ale and bread, lads?” she asked. Without a word they searched the shop, then the storeroom, then the bedrooms. At last the curtain was pulled back. Two of the men touched hands to their sword belts. A third pulled back the curtain and opened the door. Beyond was a small cupboard half filled with logs and coals. The search party departed and the shopkeeper went upstairs to speak with her son. Tarquoan appears as a pale skinned man in early middle age. He is tall and lean, typically dressed in good quality clothing of very poor repair. He is the Earthly form of a being from a remote land high up The Staircase. Xoane Malthene knew of him and called him a demon. However, he has very little influence upon the world around him. The one form of influence he does exert is very peculiar indeed. Tarquoan is able to enchant doorways such that they can thereafter open into a world within his mind. Tarquoan’s world is a protean place. It is shaped by his wishes and even by his idle thoughts and also his dreams. Tarquoan does not need sleep as humans do, but when it does sleep it can be for weeks or months on end. 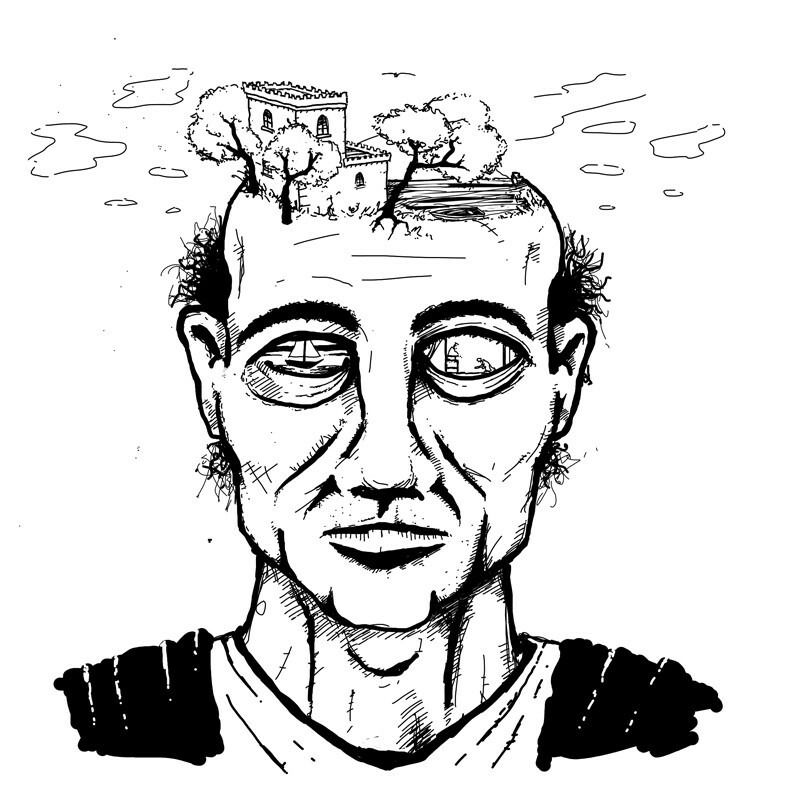 The world in his head has no fixed size, but it is typically not large. On a typical day it is not much larger than a town and its surrounding fields. Although Tarquoan’s world frequently obeys familiar natural laws, it need not. Likewise, many secrets work there in practice, but might not at any time. Despite his nature, Tarquoan is to some extent easily influenced. In particular, he has more than once been befriended by mortals, who have persuaded him to open doors in particular places or even to make specific changes to his world. Attempting to gain entry to the world without using a doorway is difficult but not impossible. Locating Tarquoan himself would be required, together with some suitable secret to detect and enter the world. Attempting to exit the world in such a way would be impossible, however, so the decision to enter should not be taken lightly.